Telescopic extensions shaped for precision helming in for standard lengths. Designed for the hardest conditions, to reduce the strain and increase the sheer ejoyment of helming. The preferred helming solution from Figaro and Mini Transat up to Open 60s and TP52s. Compact tiller extension for competitive helming. 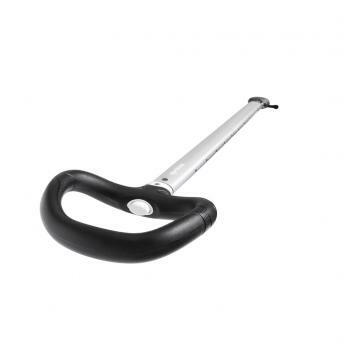 Straight handled racket grip telescopic extensions in four standard lengths. Can be switched to an Assymetric handle specification. The Diabolo Version is preferred by singlehanded yachtsmen. The windsurfing style universal joint returns it to a vertical position when not in use.